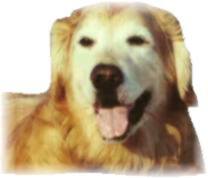 Golden Retriever Rescue, Inc. (NJ) Newsletter Summer 2004/Kids & Dogs: Safety First! Kids And Dogs: Safety First! Tis article by Vicki DeGruy, originally published in Dog Owner's Guide, was the winner of a 1993 Dog Writer's Association of America Maxwell award for best article in a canine newspaper. Question: I'd like to get a medium to large breed dog for my family but I'm worried. I've heard so many stories about dogs biting children. How can I be sure that it will be safe for my kids? Answer: You have good reason to be concerned. Statistics show that most dog bites causing serious injury involve medium to large sized dogs and children under the age of five years. The dog is usually known to the child or is the family's pet. To understand how these bites occur, what causes them and how to prevent them, a little education in the nature of dogs and the nature of small children is in order. A dog's temperament is first inherited, then modified by events in his life and proper training. Some breeds and certain bloodlines within breeds are friendlier, more tolerant and more adaptable to training because they were bred to be that way. A responsible breeder wisely puts emphasis on good temperament when selecting breeding stock. Breeders without adequate knowledge of dog behavior may not understand what a correct temperament is and use unsuitable dogs for breeding. Unscrupulous breeders sometimes deliberately breed dogs with poor temperaments. There are some dogs, just like there are some humans, that are mentally disturbed or have an illness or physical defect that affects their behavior. A dog's basic temperament, instincts and training have the biggest effects on how that dog reacts to the world around him and his levels of tolerance. Very few bites happen without provocation -- but the provocation may exist only in the dog's mind! We need to realize that dogs are not little people in furry costumes. They don't think in the same way that we do. They look at the world around them with a different perspective. Most of their actions are instinctive. A dog will react to situations according to what his instincts tell him unless these instincts are overridden by the consistent training and socialization he needs to receive from his owner throughout his life. Here is one of the most commonly reported scenarios in a bite case: A very young child sees a pretty dog he'd like to pet. The dog may not want to be petted. The dog's first instinctive reaction is show his displeasure by giving a warning -- growling. The growl means that something more unpleasant will follow if the warning isn't heeded. The type and number of warnings given can vary. Many dogs faced with a child like this would just walk away. Walking away can be considered a warning. If the child keeps trying to pet the dog, a sterner warning, usually a growl, will follow. Some warnings are more subtle -- a stiffening of the body, for example. Few dogs bite without giving some indication beforehand. Small children (and some adults) don't recognize a warning when they see or hear one. A very young child (under age six) doesn't know what a growl means. What may be obvious to an adult isn't understood by the child. The child continues to pet or follow after the dog even though the dog has now clearly told him what will happen if he doesn't stop. Dogs instinctively set up an invisible "fight or flight" boundary around themselves. The size of this boundary depends on his level of confidence and tolerance. A fearful dog will give itself a wider area than a more stable one. When someone who the dog perceives as threatening or unwelcome enters that area, the dog has two choices -- it can run away or it can defend itself. If it feels that it can't run away, it will fight instead, no matter how afraid it might be. Some dogs will choose to fight first, rather than run. A small child that's petting or hugging a dog has already intruded well within the dog's flight or fight boundary, the dog's safety zone. If the dog has tried to leave or has issued a warning with no response from the child, the dog (in his mind) has no other recourse -- he bites. This is normal, instinctive behavior -- to the dog. He is responding to what he perceives as a threat and is doing what his instincts tell him to. Remember that dogs don't think in the same way that people do. A child's innocent action, petting the dog, can be provocation for a bite when seen through the eyes of the dog. There are other circumstances that can provoke a dog to bite a child. Running, playing, screaming kids can trigger an instinctive predator-prey reaction in some dogs. Children who rough house and wrestle with dogs unknowingly encourage them to use their teeth. Dogs equate this kind of play with littermates or other dogs where using teeth is allowed. Startling a sleeping dog or petting him when he's eating can also provoke a bite. What can be done to prevent dogs from biting children? I feel that, first, it's essential to understand that almost any dog will bite under the right circumstances. Second, a dog is a dog, an animal whose behavior isn't the same as humans and can't always be predicted with 100 percent accuracy, no matter how friendly or reliable he is. Obedience training and socialization are absolute musts for a dog who'll be spending time with children. Remember that a dog will act according to his instincts if he doesn't receive proper training or if that training isn't kept up through regular practice. The dog needs to be taught to obey commands under all conditions no matter how distracting. Just as responding to the command to "come" could save the dog's life someday, an immediate response to the command "leave it!" could save a child from serious injury. Just as children need to be taught how to be well-behaved around other people, they need to be taught to be well-behaved and respectful around animals. They need to learn what kinds of games are appropriate, how to touch the dog properly, how to interpret the dog's body language and when the dog is not to be disturbed. When they're old enough to understand, kids should be involved in the training process. They should learn to give the dog commands and be able to enforce them. Adult supervision is essential! Small children should never, ever be left alone with any dog, no matter how reliable the dog has been before. A responsible adult needs to be on the scene to prevent any aggressive behavior by the dog and to keep the child from putting him or herself in danger. Telling the toddler to stay away from the dog isn't enough! Remember that young children don't recognize when they may in trouble. It's up to the adult to keep them safe from the dog and to keep the dog safe from the children. I can't stress enough that adult supervision around children and dogs is absolutely critical! If you can't be right there to handle whatever might come up or if you have any doubt about the dog's behavior around children, the dog should be put away out of reach of the kids. Almost all of us would agree that it would be nice for our children to grow up with a dog. Kids and dogs are wonderful, almost an American tradition. If you're thinking of getting a dog for the children or already have one, here are some guidelines: Consider postponing the purchase of a dog, especially a large one, until your children are at least six years old. Take your time when looking for a dog. Do your homework. Learn the differences in the various breeds and choose one best suited to your lifestyle and experience. Be honest with yourself about the amount of time and work you're willing to put into a dog. If you don't have time to raise and train the dog properly, don't get one. Buy your dog from a reputable, responsible breeder who puts priority on good temperament and health and consistently produces dogs that excel in those areas. Choose a breeder who's experienced and willing to guide and advise you about care and training throughout the dog's life. Train and socialize your dog properly! Get help if you run into problems. Don't fool yourself into thinking the dog will "outgrow" it or that the problem will go away on its own. Teach your children how to behave correctly and safely around animals and to respect them. If your children are too young to understand, it will be up to you to physically supervise them and protect them from potential harm. Don't take chances with their safety! If you can't be right there to take care of a problem or if you can't control your dog or your child -- put the dog away. Remember that what your dog tolerates from your own children may not be tolerated from someone else's. You need to take extra safety precautions when other children visit and make sure that the children obey your ground rules. Never, ever leave a child alone with any dog, no matter how harmless the dog seems. Kids and dogs are wonderful together -- when adults use common sense and put safety first.